JP is ready to enhance his chicken operation. We have 28 chickens, who are producing between 16-20 eggs a day. JP has started selling a few dozen a week to some folks in his network and we're still giving some away to friends/co-workers sporadically. The original concept of the chicken coop design (full post on this to come one of these days) was to accommodate laying hens on one side of the coop and breeding hens on the other side. Since we weren't quite ready for the full operation to begin last year, JP did his little turkey side project last instead. With only two turkeys left and robust egg production occuring, he decided it was time to move fully into All Chickens All the Time mode. 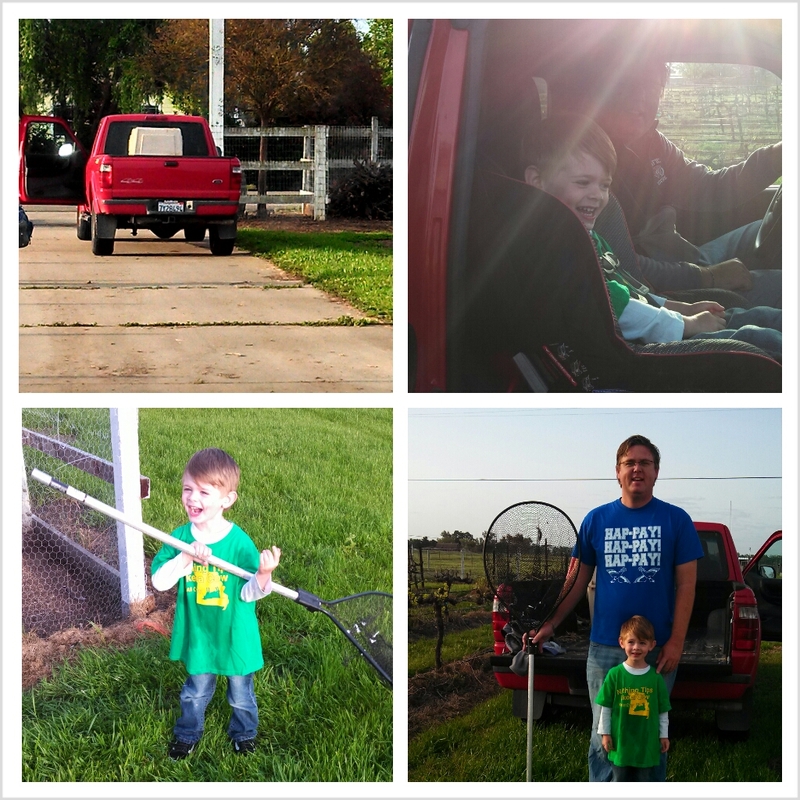 The poultry auction only happens once a month, so JP decided to load LJ up in his pick up truck and they would go together to sell the turkeys. LJ has never ridden in the truck before, so he was beside himself with glee. Before taking off though, JP had to wrangle the turkeys into a crate. LJ stood outside the coop chanting, "You can do it daddy! You can do it! " and "Gooooooo daddy, goooooo daddy!" Then he cheered. So awesome. I need him to stand by the treadmill and do the same thing for me. A few hours, a chocolate muffin and some chocolate milk later, my bird peddlers returned with a box of 10 baby chicks. They are currently in the garage brooder under the heat lamp waiting for their turn to join the rest of the flock in the Chicken Mansion. This brings our grand total to 38 chickens. We thought this was a lot. Then we talked to our friend Simon. 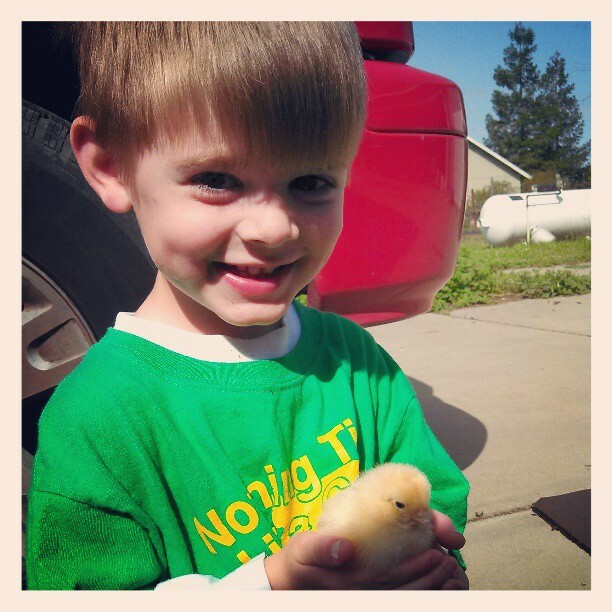 He's a dentist, but his grandfather has a huge farm and pretty massive chicken operation. To put things in perspective, he has over 100,000 chickens. Wonder what his chicken "coop" looks like?